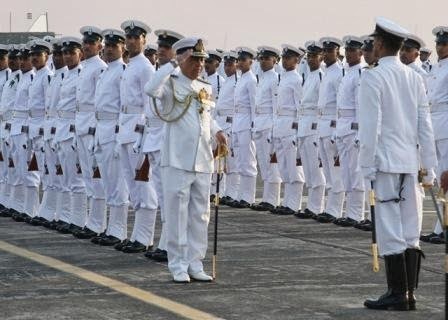 Indian Navy Latest Recruitment 2014 for SSC Officer Pilot Observer: -The Indian Navy has invited the application to the recruitment for the post of Short Service Commission (SSC) Pilot/ Observer and course starting from DEC-2014. So as of now the interested and eligible candidates can apply for these posts before the last date of application submission. Check below for more details about Posts and Others. Last date to receive Application forms: - 21st April 2014. Post Name: - Pilot/ Observer Short Service Commission Officer. Age Limit: - 19 to 24 Yrs. Pay Band: - 15600/- to 39100/- With Grade Pay of 5400/- INR. Education Qualifications: - All the candidates should have the Graduation Degree with Minimum 70% Mark and Physics and Mathematics Subjects in 12th (Intermediate) Level. And For CPL- All the candidates should have the Graduation Degree with 60% Marks and Physics and Mathematics Subject in the 12th Level. How to apply: - All the candidates can apply through online by the official website of India Navy and then take print out of the application and send it to the Indian Navy respective address along with required documents before the last date of application forms receipt. Click here for detailed advertisement, address details and Apply online.